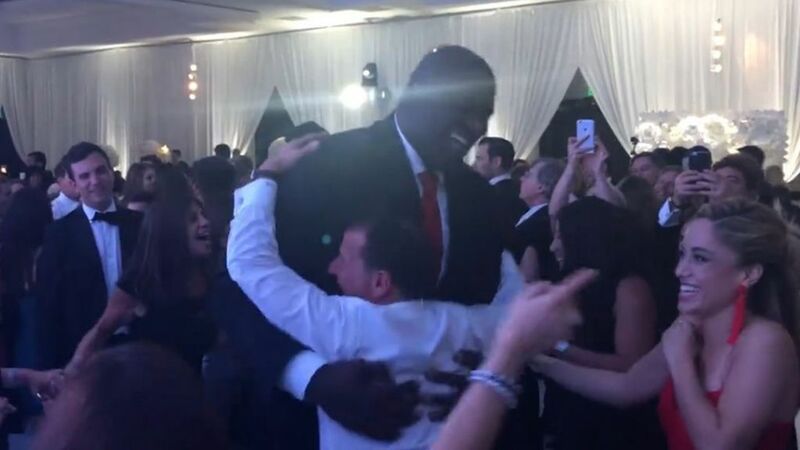 Above: Shaquille O’Neal hugs a guest at a wedding in Miami after dancing the Hora. 7-foot-1 Shaquille O’Neal can dunk, rap (sort of) and he’s a member of the Basketball Hall of Fame. But this past weekend, the Atlanta local showed off a new skill when he danced the Hora at a wedding in Miami. Guests at the wedding of Blair Markowitz and Corey Salter enjoyed dancing the Hora with the Diesel in this video published Tuesday by TMZ. The groom’s father, Jamie Salter, works with Shaq through the Authentic Brands Group, which owns and manages his intellectual property. 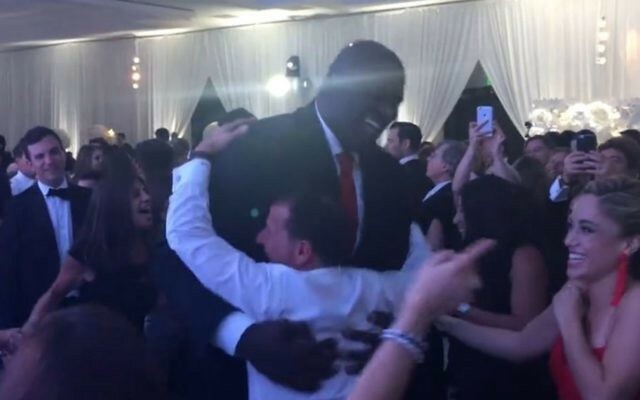 But unfortunately, as TMZ points out, we didn’t learn how many Jews it takes to lift one Shaquille O’Neal — efforts to lift him in a chair reportedly failed miserably.